2017 Corey Davis at 5 avg 633 yd and 2 td per year, Mike williams at 7 375 yds 5 td per year (granted injured most of his rookie year) both have been #2 wr on their teams. Those are the guys that have gone in the past 10 years. The reason I ask is because Metcalf is no Julio or Aj level talent coming out, he is being discussed like Watkins was where he is the best WR in the draft but not outstanding career in college. He ended up fizzling out with injuries so far but is getting paid #1 wr money. Corey Davis and Mike Williams have had 2 years and they havent come out showing they can be a game changer for their teams which is where Metcalf seems to fit in, at least that is my opinion on him. outside of 2011 draft WR classes drafted in the top 10 have been fairly disappointing with a couple of exceptions. 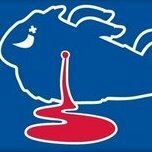 All in all even though Bills are looking at Metcalf i sure as heck hope they dont take him at 9. I agree with your point for the most part. Don't love Metcalf at 9 anymore. The on-field talent gap between him and several other WRs you might get at 40 or have to move up 10 spots to get in the late 1st isn't that big. I'd rather pair Oliver/Wilkins/White/Sweat/Taylor/JWilliams with a Harry/Harmon/AJ Brown or TE. Metcalf is exciting to think about but he is way more concerning to me than Watkins ever was. Metcalf blew the roof off at the combine but the hype has since leveled off almost back to where we were before then. I won't be upset if we take him, but I much prefer about 5 other prospects, who are safer bets. Also, Watkins was a complete stud in college. Take a look at his numbers again. I watched him play too.. he was justifiably the top WR taken that year despite where we are 5 years later. Yeah I’ll defend the Sammy pick til the grave. I was HYPED we moved up and snagged him. So disappointing, I really thought he was going to be Julio 2.0. I also really want Hockenson. Honestly, I didn't like it when it happened. Hindsight made it a disaster but I'm one of few original Doug Whaley haters. Metcalf might not even be a better prospect than Mike Williams. This WR class is deep but not top heavy, but has a lot of freakish athletes. He’s a great fit in Buffalo!! A kid that went to Iowa coming to Buffalo...big tight end target for Josh, and a great blocker for a young QB. I’m all in on him. Based on some of the comments made by McDermott about the TE position and Greg Olson in particular I think Hockenson makes a lot of sense. I like Hockenson, but I am not a big fan of taking a TE that early. Most of the elite TE in the NFL currently weren’t first round picks and a lot of TE that were taken early in the first round have been busts. I am dead set on taking a DL or OL at #9 unless we trade back to the middle or end of the first and pick up a couple 2nd -3rd round picks. Ideally getting d help is the top priority after the signings the bills did in free agency. Yes they can always benefit to add more on oline but its no longer a top priority, with next year the dline has only star and murphy signed through they need to look at long term answers so grabbing Oliver, Sweat or White are my hopes at 9. if all are taken which can be very likely White to Bucs at 5, Sweat to Giants at 6, and Oliver to Detroit at 8 then ideally want to move back. If the Raiders are in love with Haskins but didnt want to miss out on the top 3 williams, bosa or allen, we could hope they would want pick 9. 9 for pick 24 and 27 could be an ideal scenario for the bills because they can land a guy like Fant if Hockenson is taken at pick 24 and get Harry at 27 (to me is the best wr in the draft as he can play all positions at wr). They will then have pick 40 to land dline help. Also I still feel like beane will be making some form of move I just dont see him rolling the money over from 2018 season to 2019 season and end up not spending it and having 34 mil in cap space right now before any more cuts seems to be weird. Draft will be interesting on making moves for picks and possible players. This isn't a top heavy class for OL, so the only guy I would take at #9 is Taylor. I still think OL is a pretty big need even with all of the FA signings. The only guy in my opinion that is a lock to start is Morse. Nsekhe is 33 years old and has only started in 16 games the past four seasons and is a much better fit at LT tackle than RT. Feliciano has started 8 games in 4 seasons. Spencer Long is a crap shoot. We're hoping he plays like he did in Washington a few years ago, but there's no guarantee. Waddle is likely a reserve/swing OT. There is a lot of uncertainty with every OL signing outside of Morse. I do think these guys are upgrades to what we had last year and will compete, but I don't see any being difference makers outside of Morse. I think we should draft at least two more OL. I hope one is in the first three rounds. We still have needs at other positions and it is unlikely we fill all of our needs this offseason. I have always been a fan of building inside-out. I would rather focus on OL and DL early and then start moving towards TE, WR, and LB later. I just see the draft going like this leaving the bills in a tough jam: 1. Az Murray, 2. 49ers Bosa, 3. NYJ Allen, 4. Oak Williams, 5. TB White, 6. NYG Sweat, 7. Jags Taylor, 8 Det Oliver....Grabbing Hockenson, Jonah, metcalf arent sure fires so I dont want to risk taking anyone at 9 as it will be a reach at that point since the level of talent has dropped but that is my opinion. Only hope is a team wanting a QB and willing to move up to 9 to get them then they can move back pick up a day 2 pick and still land a decent player. If Ed Oliver goes at 4, like he's frequently being mocked lately, imagine Quinnen Williams falling?